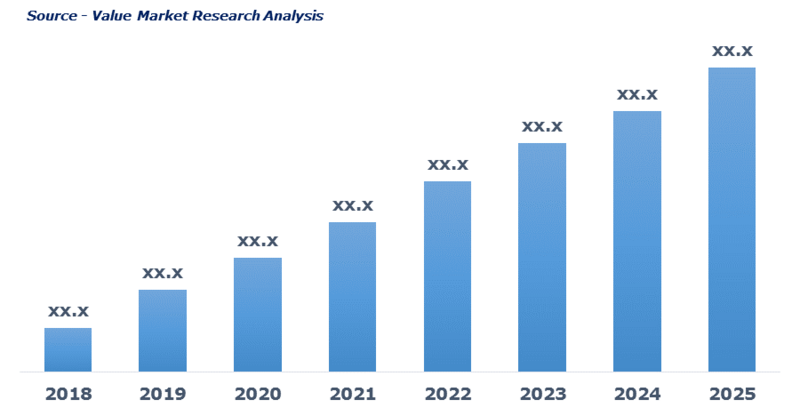 As per this study, the Global Herbal Supplement And Remedies Market was valued USD 99.9 BN (by revenue) in 2018 and is anticipated to reach USD 171.2 BN by 2025 with a CAGR of 8%. Herbal supplement, alternatively known as botanicals, is the plant-derived dietary supplement consumed to improve health. Whereas, herbal remedy is a medication prepared by mixing herbs with therapeutic properties to prevent or cure a medical condition. Increase in sales of the herbal-based product at a healthy pace owing to consumer preferences towards such products. The growing preference for plant-based products across the globe, highlight the positive outlook of the market. This detailed market study is centered on the data obtained from multiple sources and is analyzed using numerous tools including porter’s five forces analysis, market attractiveness analysis and value chain analysis. These tools are employed to gain insights of the potential value of the market facilitating the business strategists with the latest growth opportunities. Additionally, these tools also provide a detailed analysis of each application/product segment in the global market of herbal supplement and remedies. Furthermore, the report comprises of the geographical segmentation, which mainly focuses on current and forecast demand for herbal supplement and remedies in North America, Europe, Asia Pacific, Latin America, and Middle East & Africa. The report further focuses on demand for individual application segments in all the regions. The report also covers detailed competitive landscape including company profiles of key players operating in the global market. The key players in the herbal supplement and remedies market includes Arizona Natural Products, ARKOPHARMA Laboratories Company Limited, Bio-Botanica, Inc., Bionorica SE, Blackmores Ltd., Gaia Herbs, LLC, Glanbia plc, Herb Pharm, LLC, Herbalife International of America, Inc, Hevert Arzneimittel GmbH & Co KG, Himalaya Drug Company and i-Health, Inc. An in-depth view of the competitive outlook includes future capacities, key mergers & acquisitions, financial overview, partnerships, collaborations, new product launches, new product developments and other developments with information in terms of H.Q.